South Iceland made the news for all the wrong reasons after the 2010 eruption of volcano Eyjafjallajökull which caused air traffic disruption across the Atlantic. When it’s not causing global travel chaos, this region happens to be one of the best places in Iceland to see the country’s eponymous glaciers, the vast slow-flowing ice fields which cover 10 per cent of the island. You can only explore the glaciers on guided tours. South Iceland is home to Iceland’s largest national park, Vatnajökull, which covers over 13,920 sq km--an incredible 14 per cent of the country--and the region is accessible thanks to easy connections via the country’s major motorway. Fjallabak Nature Reserve is totally free from light pollution, but remember that the region’s southerly location means the northern lights are less frequently visible down here. Tours from Reykjavik visit the reserve. Þingvellir National Park is an historic place of global importance, as the location of the world’s first parliament (930 AD) and now recognised as a UNESCO world heritage site. It is also geologically significant as the meeting point for two tectonic plates. You can walk from one side to the other, through a rift valley. 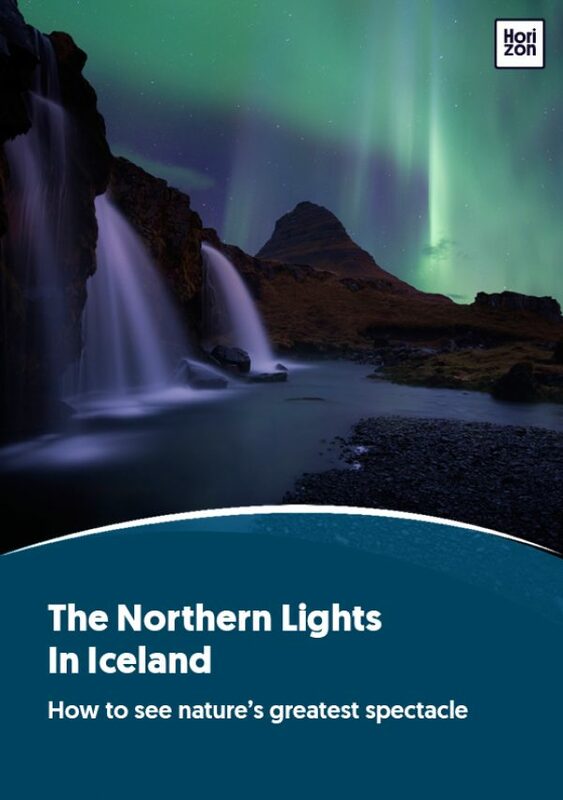 It is also an excellent place from which to see the northern lights since it is far from settlements and traffic, and the skies are totally free from light pollution. The best time to see the lights is between September and April. The national park is a 40-minute drive from Reykjavik along Þingvallavegur along road number 36. There are established walking routes across the park. Vatnajökull is the largest glacier in Europe (covering approximately 13% of Iceland’s landmass). With vast ice fields covering several active volcanoes, the region contrasts fire and ice in classic Icelandic style. Vatnajökull National Park is the largest in Western Europe and is great for hiking, ice climbing, mountaineering and more. The area’s big advantage is its accessibility, with Reykjavik just on the doorstep. Yet there are also wide open and deserted places in the region, which means little to no light pollution to get in the way of seeing the lights. There are also some wonderful natural and historic sights to take in: Stunning scenery and the site of the world’s oldest parliament, and it’s not often that you can walk between two tectonic plates--a unique experience. There are many small towns and villages scattered across southern Iceland, the largest being Selfoss with a population of just over 6,900 and shops, restaurants and hotels; the smallest village is Skógar with a population of just 25. The village of Vik is the stand-out settlement surrounded by volcanic black sand, with thousands of terns nesting on the surrounding cliffs, and a 120-metre headland extending into the sea, offering views out to sea, over the village’s wooden houses, and to the nesting puffins who live on small islands just off Vik’s coast during the summer. To get to the region you need to drive--it’s not far enough from Reykjavik to fly, and its accessibility makes it comparatively expensive. Golden Circle Route is the classic tourist trail in Iceland which takes in some of the country’s most iconic sights, including the 70 metre high Gullfoss waterfall and the famous Strokkur geyser (erupts every 5-10 minutes up to 40m high). All tour companies lead daily trips around the Golden Circle at varying prices. Þuríðarbúð Folk Museum established in 1949, is dedicated to the elves and "hidden people" that (it is said) around 50 per cent of Icelanders still believe in. Located a few minutes from Skogar Waterfall, along Ring Road 1, entrance costs ISK 2,000. For more information see http://www.skogasafn.is/en. Arnarker lava cave is 16 metres deep and 516 metres long and is lit by the glow of lava reflecting from the stalactites and stalagmites that protrude from the cave walls. You get down to the cave via a ladder. Arnarker is located in the middle of Leitarhraun lava field, north of the road leading from Þrengsli towards Selvogur. Glacier walks will allow you to appreciate Mother Nature at her most awesome. But you’ll need a guide and you’ll need to be reasonably fit. Southern Iceland is full of glaciers, but the most accessible is Solheimajokull Glacier, a 1.5 hour hike suitable for people of all experience levels. Sinkholes and ice ridges line the paths. The glacier is on top of Katla volcano, one of the country’s most active.